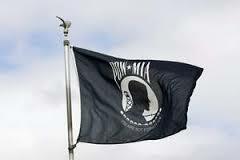 This flag is a reminder of why the MIA accounting community is so important. Their mission is to bring home our MIAs from former battlefields around the world, to the extent possible — a promise worth keeping. As the former wife of an MIA, still unaccounted for in Vietnam, I have spent much of my life trying to figure out if I could have done something more for my first husband, Capt. 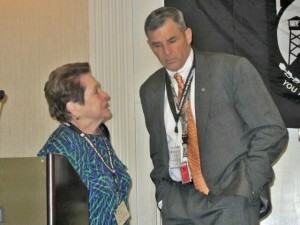 Jerry Zimmer, for whom this blog is dedicated. Unlike many wives who worried about their husband’s aircraft being shot down, I never thought for a minute that Jerry would not come home. He was invincible in my eyes, and I was totally unprepared when the unthinkable happened on August 29, 1969. I’ve come to accept the realization that guilt follows most MIA family members for one reason or another, and I am no exception. 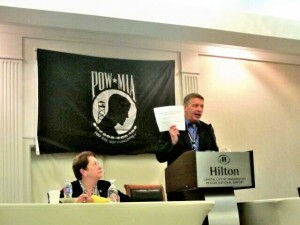 For many of us, the ability to transfer some of the burden to the accounting community, consisting of several groups, including the Defense Prisoner of War/Missing Personnel Office (DPMO) and Joint POW/MIA Accounting Command (JPAC), has been a blessing; but for some, it has become a transference of blame to someone else. Those who follow efforts to recover our service members from past wars, now classified as MIAs, know that our active duty military plays an important role. And with the evolution of the recovery program, focused these days on a much larger mission, involving MIAs in the many thousands, our military’s humanitarian outreach is expected to become even more critical and quadruple over time. In my opinion, the program cannot survive without members of our military. Most active duty members I’ve met during my many visits to Vietnam have also served in Iraq and Afghanistan. I have been a long-time advocate of our military, but never to the extent that I am today. These young men and women, who work behind the scenes and receive little-to-no recognition, are my heroes. They truly understand the mission, perhaps better than most, since they have been there, done that and made it out alive. What many MIA followers do not realize is that military members, assigned to JPAC field operations, know of the negative media publicity that has surfaced in recent months, often focused on JPAC. Working in unbelievable conditions, trying to bring home our loved ones, our military take these hits personally. I did not know of JPAC until recent years. As the military command, headquartered at Hickam AFB in Honolulu, HI, that searches former battlefields throughout the globe, JPAC is the operational wing within the accounting community that conducts field investigations and excavations, hoping their efforts will lead to recoveries and identifications of MIAs through material evidence, DNA and other forensic techniques. JPACs Central Identification Laboratory (CIL), also located at Hickam, has the final say in all identifications, as it seeks to reunite families with their loved ones for burial in the United States, the country for which they paid the ultimate price. When I began writing about our family’s quest to bring home Jerry’s remains, I had finally found a way to help Jerry and hopefully a few others involved in the process. Although I knew little about JPACs mission, I was accustomed to traveling throughout the world and thanks to my husband, Ron, a Marine veteran who has given me all his FF mileage and much more, I landed at the door of JPACs Detachment 2 in Hanoi again and again. 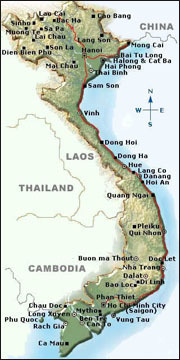 Today, MIA family members are no longer afraid to visit Vietnam, and in most cases, they also end up at the detachment. Armed with a lot of luck and solid research, many of us have become quasi participants in our loved one’s case. What the future holds for our MIAs is anyone’s guess. With the mandate in the 2010 National Defense Authorization Act (NDAA) requiring that the CIL produce 200 identifications annually by 2015 and thereafter, the bar has been set incredibly high. JPAC and DPMO were expected to come up with a plan, outlining their vision for an overhaul of the accounting community for Senate sub-committee hearings this fall; however, Sen. Clair McCaskill (D-MO), chair of the committee, just announced that she is writing legislation to extend the deadline by one year — presumably Congress has a busy schedule with healthcare and election issues until then. This will offer JPAC more time to get its house in order, and DPMO is likely to be making some internal upgrades, as well.